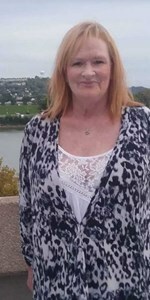 Newcomer Family Obituaries - Robbi Waters 1955 - 2019 - Newcomer Cremations, Funerals & Receptions. Robbi Sue Waters, age 63 of Xenia, OH went to be with the Lord on Friday, January 18, 2019 at Hospice of Dayton. She was born March 2, 1955 in Dayton, Ohio to Robert and Shirley (Morris) Beyers. Robbi was a member of Lighthouse Baptist Church in Xenia where she was a member of the Life Group and was active in the RU Recovery Ministry. She volunteered with the AWANA group at the church, was active with the Childrens Ministries and helped in all areas of the church. Robbi was a witness for Jesus Christ and mentored many in the church. She enjoyed a good cup of coffee and was a very people oriented person, never meeting a stranger. Robbi loved her family and friends dearly and will be greatly missed by all. Robbi is survived by her daughter, Bobbie (Gerry Debartolo) Ross; a son, Sam George; a sister, Patti Beyers; a brother, Robert Beyers; a sister in law, Starr (Mike) Brown; a niece, Shannon Slaughter; a nephew, Steven Line; friends, Jennifer, Lloyd, Samantha, Shawna, and Sarah Carter, Pat and Bill Benysh, all her special church friends, too many to mention; and other family and friends. She is preceded in death by her parents; and a son, Samuel Joseph. A visitation will be held on Saturday, January 26, 2019 from 10:00 to 12:00 noon at Lighthouse Baptist Church, 2040 West Second Street, Xenia, Ohio 45385. Funeral Services will follow the visitation at the church at 12:00 Noon. Burial to follow at Mt. Zion Shoup Cemetery, Beavercreek. In lieu of flowers the family requests donations be made to assist with the services, please visit the families Go Fund Me account/search Robbi Waters. To share a memory of Robbi or leave a special message for her family, please click the Share Memories button above. Add your memories to the guest book of Robbi Waters. We remember Robbie coming to our Church and have been blessed by seeing her grow in the Lord and his work at the Church. She was a blessing to get to know and will be missed. May she always be in the Glory of our Lord forever Amen. Robbi, From the day I met you I knew we would be friends forever.You had such a big heart and was filled with love.I will never forget the time you came to Fifth&Finley and pulled all that creamer out your pockets and I mean every pocket.I laughed so hard .You will be missed and I am so Thankful that I came out to Hospice to hold your hand. R.I.H Robbi. Aunt Robbie you will be missed! You were such a kind and wonderful person and I love you! You were one heck of a fighter! Now you are an angel and are in no more pain! Love you Missy! To the family and Starr. My heart is sadden by your loss, but know that we have an Angel watching over us! Cancer herself. God has an Angel and a Fantastic Witness. Love You Robbi and will Miss You Dear Friend. May you peacefully in heaven .